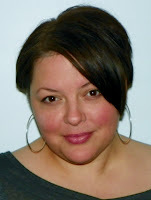 A Life Bound By Books: Ember Launch Blog Tour: Review - CHAOS By: Christine O'Neil + A GIVEAWAY!!! 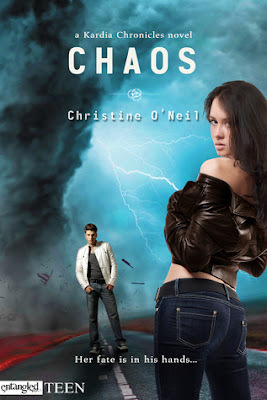 Ember Launch Blog Tour: Review - CHAOS By: Christine O'Neil + A GIVEAWAY!!! Synopsis: My name is Maggie Raynard. After sixteen years being just plain me, suddenly, when I lose my temper, my fingers become weapons of mass destruction. Turns out I'm a semi-god, descended from Aphrodite. Sounds cool in theory, but when I accidentally put my ex-boyfriend in a coma, things go downhill pretty fast. Now some new guy named Mac Finnegan has made it his mission in life to continually piss me off. I'm stuck learning how to use my new powers while also dealing with regular high school problems, and with this annoying—and super-hot—guy all up in my business, I'm about to flip out. But it gets worse. I just learned there's this watchdog council of semis who keeps an eye out for any bad apples. They think I'm the baddest of the bunch and want to take me out before I do any more damage. My nemesis Mac might turn out to be my salvation, only he's got secrets of his own...and they may just kill us both. Review: 4 Stars - Chaos, Kardia Chronicles by Christine O’Neil is a wonderful story and take on Greek mythology. With main and secondary characters that’ll entertain you and a feisty female lead, you’ll be smiling from beginning to end in this exciting new series. Maggie might only be sixteen years old but she sure does have a lot on her shoulders. She just doesn’t know how much or what’s at stake. I loved the way O’Neil has written her. She’s strong and has a lot of fight in her. She’s hurt and trying to heal and wants nothing more but to do the right thing for herself and those around her. She has a temper that needs to be brought under control and quick - or she’s in some deep, deep trouble. Mac is nothing but an irritating thorn in Maggie’s side. He pushes every single one of her buttons time and time again. He knows how to get under Maggie’s skin and takes pleasure in it. Seriously, he does it well. I went back and forth on the whole liking him and wanting to glare at him, but in the end he’s pretty swoonable. When the two come together there’s some high flying emotions of the mutual hate kind. Or is there? As I mention, the side characters are fun in and of themselves. I liked the way they were different and their own person and how they complemented Maggie. I also enjoyed the little sub plot that was going on between this trio. Oh and there are plenty of snarky lines from beginning to end, not to mention the twists that prove to be pretty full on for O’Neils characters. I often found myself wondering how her characters, especially Maggie were going to get themselves out of the mess they were in. The mythology in the story was interesting and I wanted to find out more about the Gods and semi-god’s in the Kardia series. I’m hoping that we get a chance to learn more in the next installment; in fact it’s one of things that I look forward to. I mean, how this one ended with the shocking bit of info that we were given… yeah. I think I had a little break down after the thrilling action packed scene, THEN the little bomb that gets dropped. Talk about double whammy! All in all, reading Chaos was a pleasure and highly entertaining. I came to enjoy reading about the characters and to follow along with their story. I liked how O’Neil added in humor, making her characters even more likeable and realistic. Or as realistic as one can be when they have powers of a semi-god and all. Would I recommend this title? Yep, I sure would. I think that anyone who loves YA should pick this one up. Anyone who liked a great read with a different spin on Greek mythology would also find something to enjoy if not love in Chaos. I for one will be waiting for the next installment to see how Maggie and Mac are going to get out of this one. Happy reading.